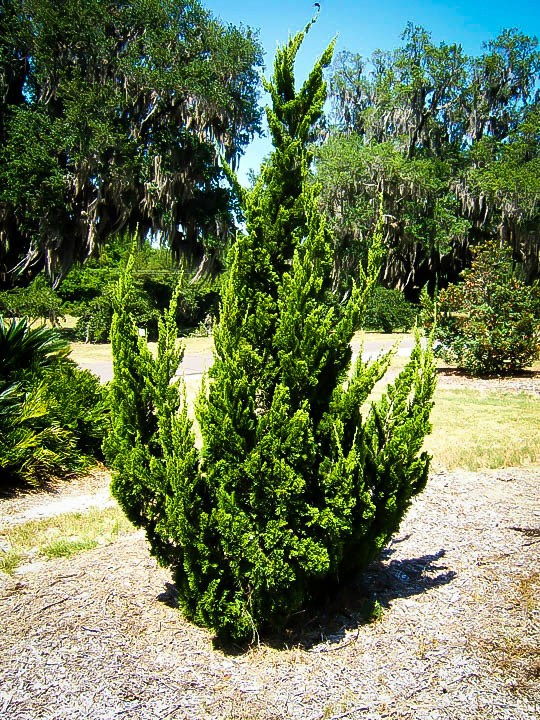 The Hollywood Juniper is a very special evergreen tree or large shrub, with every plant having a unique appearance. It is an extremely hardy, drought-resistant plant suitable for hot and dry locations but also growing well in normal conditions and in very cold areas too. 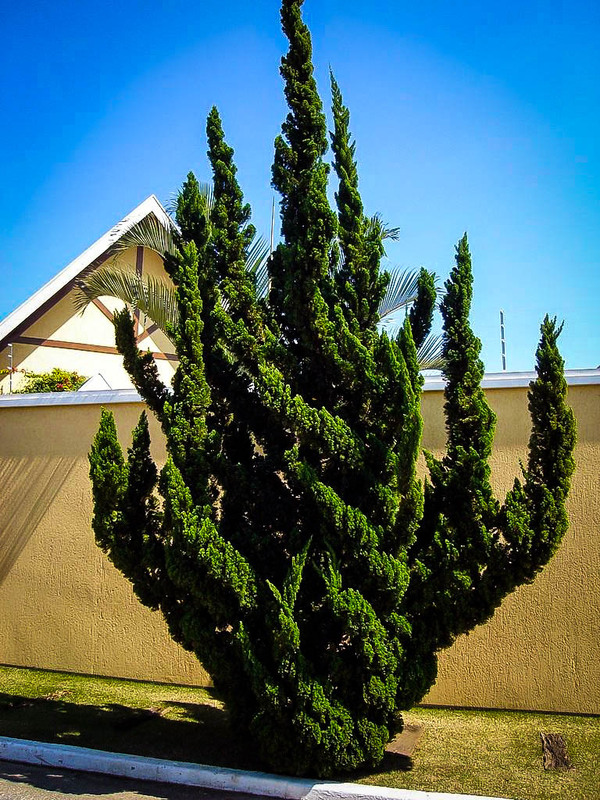 It forms an upright, open shrub up to 15 feet tall, with twisted and irregular branches giving it a wind-swept look. It makes a wonderful specimen plant and always catches attention with its dramatic and powerful appearance. It has dense, blue-green foliage studded with attractive violet-blue berries for most of the year. This is the perfect plant for an Asian-themed garden, yet it also looks great in an ordinary garden too, adding a unique and special look. It can also be grown in a large planter, as something very different on your terrace. This outstanding plant matures into a tree that seems to have been trained by a master of giant bonsai, yet in reality it requires no special training at all. 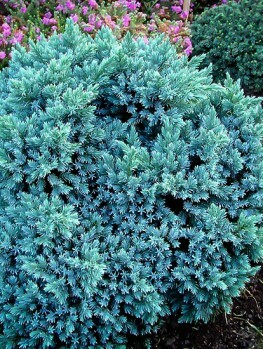 The Hollywood Juniper will grow in any kind of soil except ones that are often wet. Once established it will thrive in hot, dry, sunny locations, yet it is hardy in the coldest areas – yes, don’t believe the myth that it is only hardy to zone 6. 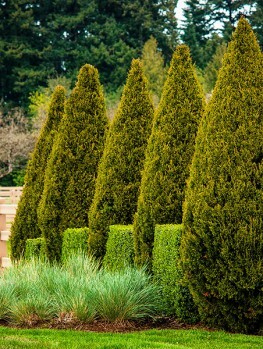 Despite its appearance it requires no special training or pruning to develop its fascinating form. It has no pests, it is resistant to deer and it is a very low-maintenance plant for difficult locations, with heat, sun and drought. 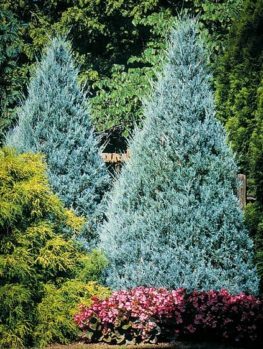 The majority of evergreens grown are loved for their regular shapes – upright, narrow columns like the Italian Cypress or broader pyramids like the Emerald Green Thuja. There is one tree that does not do that and is a strong individual – the Hollywood Juniper. Each Hollywood Juniper is as unique as the place it is named after, with every plant growing into a different shape and form. If you are looking for a very special plant to occupy a focal-spot in your garden, this is that plant. If you love the twisted look of bonsai trees and would like a full-sized one in your garden with no work at all, this is that plant. If you just love the unusual and want to have something different in your garden, then this is the plant you are looking for. It makes an ideal specimen for Asian-themed gardens or for modern, low-maintenance drought-proof gardens too. 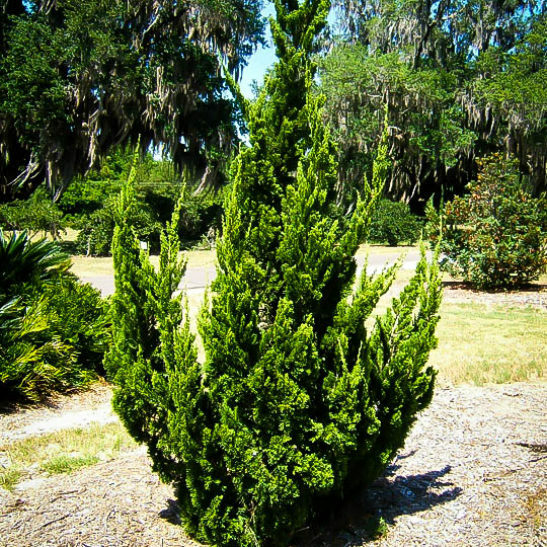 Hollywood Junipers usually grow around 15 feet tall and 10 feet wide, with branches twisting and turning in different directions. 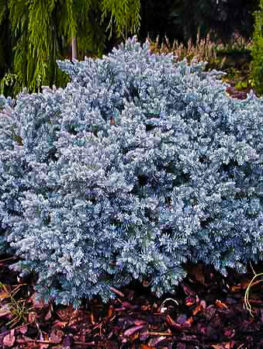 Mature branches are covered with dense, blue-green, coral-like foliage that looks like it has been trimmed and it is often studded with violet-blue berries that are present almost all year round and add to the charm of this plant. Younger shoots are more open and flame-like, creating a very exotic and unique appearance. Even the bark is exotic and can be seen between the clusters of foliage. It is rusty-brown in color and peels in strips, adding to the rugged look of this tree. An even taller tree, to as much as 30 feet, can be produced by training a central stem growing upright, with the twisted branches growing out to the sides. 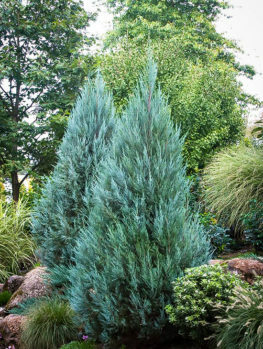 Despite its appearance, the Hollywood Juniper will grow between one and two feet a year once established and will quickly develop its unique appearance. Since it was first grown in California, many people do not realize how hardy this plant is and some authorities still show it as only hardy into the warmest parts of zone 5. This is not true and staff at the Tree Center knows of plants growing strongly, without any damage, in Canada in zone 3 and this tree is certainly hardy in zone 4. It will grow right down into zone 9, so it can in fact be grown right across America. Because of this myth of its hardiness, trees are rarely seen in the northern states and are almost never seen in local garden centers, so this is your chance to grow something new in your area and amaze your friends and neighbors. The wild Chinese Juniper (Juniperus chinensis) grows throughout China, Japan and Mongolia and it is usually a large tree reaching around 60 feet. It is similar in appearance to the Eastern Redcedar found wild in North America. Wild plants of Chinese Juniper are often very variable and different forms have been collected by gardeners in China and Japan for centuries. In 1920 some plants were brought from Japan to California of a variety called by the Japanese ‘Kaizuka’. This form is extremely variable in growth, with no two plants looking the same. It quickly became very popular in California and the south-west which is why it became known as the Hollywood Juniper. It is also often listed as ‘Torulosa’ by nurseries, but the original Japanese name is the correct one. Because of its special and exotic appearance it is very important that this plant is grown correctly, from stem pieces taken from the best, correctly-identified specimens. Our trees are grown this way and it takes time and skill to develop them into sturdy young plants. 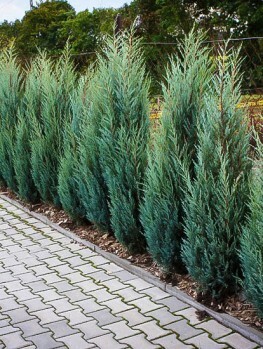 Avoid cheaper seedling trees or Chinese Junipers with other names, as these will not be the remarkable Hollywood Juniper and will only be a disappointment in your garden. The Hollywood Juniper will grow in any kind of soil at all, from acid to alkaline and from sand to clay. However, it does not like wet conditions. It will grow in shallow soil, rocky soil and in urban areas too. 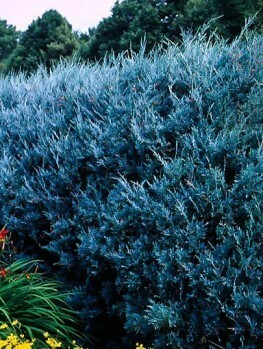 It is very drought-tolerant, it has no pests or diseases and it is not even eaten by deer. It will even tolerate ocean salt-spray in warmer zones. Because of its relatively low height it can be safely planted beneath utility lines. Despite its amazing appearance, it does not need pruning or trimming and is best left to develop naturally into its own unique form. For a taller tree, select a shoot growing upright in the central area of your tree and trim the shoots around it to keep them lower. By doing this a central trunk will develop with taller, more upright growth. 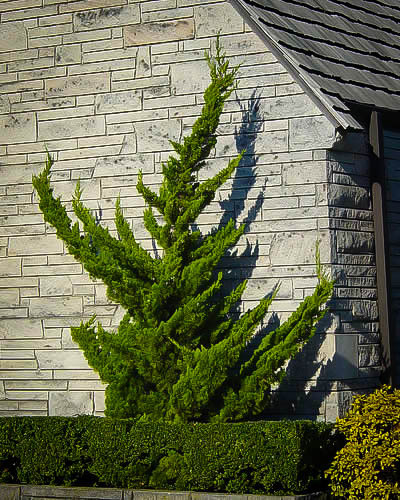 To plant your Hollywood Juniper choose a sunny position with room for your plant to spread out it rugged branches. Dig a hole that is two or three times the width of its pot and place your tree in the hole at the same depth it was in the pot. Replace most of the soil, water very thoroughly and then finish filling the hole. Water each week during the first year and after that it will only need water during severe drought conditions. We are sure you can imagine the demand for this plant, which is often not available for long periods while new plants are grown. We are proud to have a supply right now of beautiful specimens of this plant, but the demand is very high and we cannot guarantee that our stocks will keep up with the demand. So if you want to have this unique Hollywood celebrity in your own garden, place your order now to avoid disappointment.